Fr John Cribben is believed to have fallen while dusting windows in his local church to save his parish money. An Irish born priest found dead on the floor of his church in England is believed to have fallen 35 feet from a ladder while dusting windows in his local church to save his parish money. 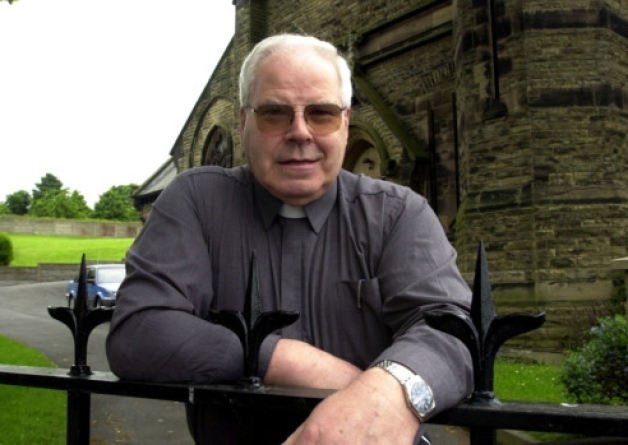 Fr John Cribben’s body was discovered early in the morning by a parishioner at Our Lady and St Patrick’s Church in Walton-le-Dale, near Preston on 27 January last. The matter has been passed to the coroner and a health and safety investigation has been launched by South Ribble Council. News of Mayo-born Fr Cribben’s death last week has stunned the community where the 76-year-old had been parish priest for 18 years. Parishioners believe Fr Cribben had been cleaning the church himself rather than employing an experienced firm. Fr Cribben was a regular visitor home to family and friends in Kilkelly in Co Mayo. He was a brother of the late Shea Cribben, lead singer with the Mayo-based Riviera Showband in the late 1960s. His funeral arrangements have not been confirmed yet.